Trump on Monday night seemed to deny having ever used the N-word. 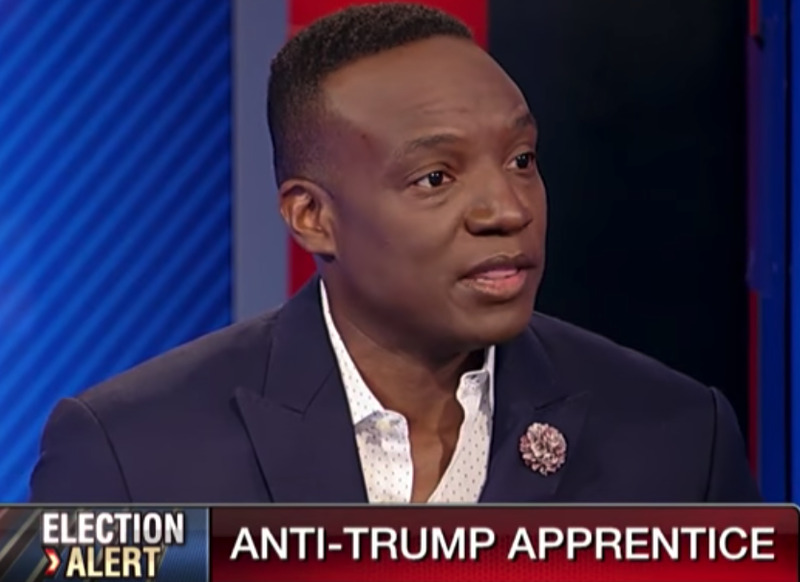 Writing on Twitter, he said Mark Burnett, the “Apprentice” producer turned MGM chairman, had “called to say that there are NO TAPES of the Apprentice where I used such a terrible and disgusting word as attributed by Wacky and Deranged Omarosa. Manigault Newman, the former communications director for the White House Office of Public Liaison, told Matthews she heard Trump say racially derogatory remarks, specifically the N-word, “multiple times” in a three-minute recording. She added that the remarks were made in reference to Kwame Jackson, a black contestant on the show. Manigault Newman said that it was during the 2016 campaign when she first heard such recordings may have existed and that she was shocked. Manigault Newman apparently went on to investigate such recordings, however. 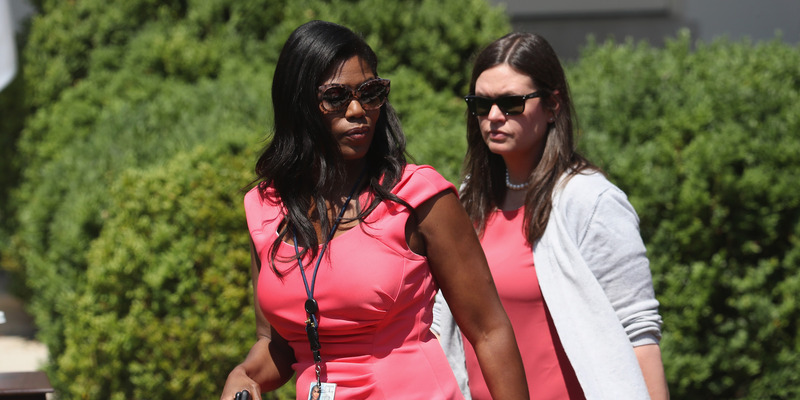 Also Monday evening, HuffPost cited multiple sources as saying Manigault Newman had actually told at least three Trump aides back in December that she had already heard a recording taken during “Apprentice” filming in which Trump had said a racial slur. HuffPost cited three anonymous Trump aides as saying she had told them the recording was played for her in the White House by Troy McClain, a former “Apprentice” contestant. McClain acknowledged meeting with Manigault Newman at the White House in December but laughed at the notion that he played the tape for her, according to HuffPost. “You’ve got to be bulls——- me. Is this a joke?” he reportedly said. The idea that Manigault Newman had heard such a recording as far back as December contradicts her public statements. During promotional interviews for her book before Monday, she had said she heard incriminating recordings existed but had not listened to any. She then suggested in Monday’s MSNBC interview that she only recently heard the three-minute recording, and she did not indicate who was in possession of it but suggested the person might be keeping it to hurt Trump in the November midterms. Fox Business/YouTubeThe former ‘Apprentice’ contestant Kwame Jackson on Fox Business. HuffPost cited multiple sources as saying Manigault Newman had told them in December that an “Apprentice” producer named Bill Pruitt had been in possession of the tape containing the audio she had heard. During the 2016 campaign, Pruitt teased the existence of incriminating recordings of Trump from “Apprentice” filming, but HuffPost said he denied having possessed any such tapes. Lynne Patton, a regional director at the Department of Housing and Urban Development who said she spoke with Pruitt on Monday, released a statement emphasising that rebuttal. “Based upon her conflicting accounts and the newfound information… it should be abundantly clear to everyone that not only is her book a complete work of fiction, but that the existence of this elusive ‘N-word’ tape is a figment of her imagination and merely a destructive took of manipulation applied on when it best serves her interests,” Patton said in her statement. Manigault Newman launched a media frenzy amid the release of a memoir that paints the Trump administration in an unflattering light. On Sunday, she released an audio recording of what she said was a discussion between her and the White House chief of staff, John Kelly, inside the Situation Room, sparking security concerns for officials who are not supposed to bring recording devices into the secure room. “But I will say this to you, I was complicit with this White House deceiving this nation,” she said on NBC’s “Meet the Press” on Sunday.